A spin off to I love the postman... thread. 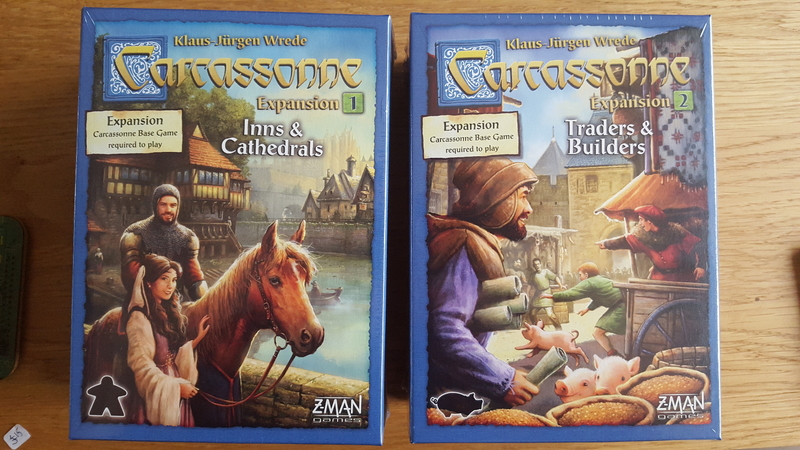 Today I got hold of Zpocalypse expansion set from a local store for just 1 Euro. Never heard of nor played this game, but the price made it impossible for me not to buy it. And there was only one copy left. 5 mins to Midnight on a Saturday. Has been a long day, but relaxing and came home about 30 mins ago. 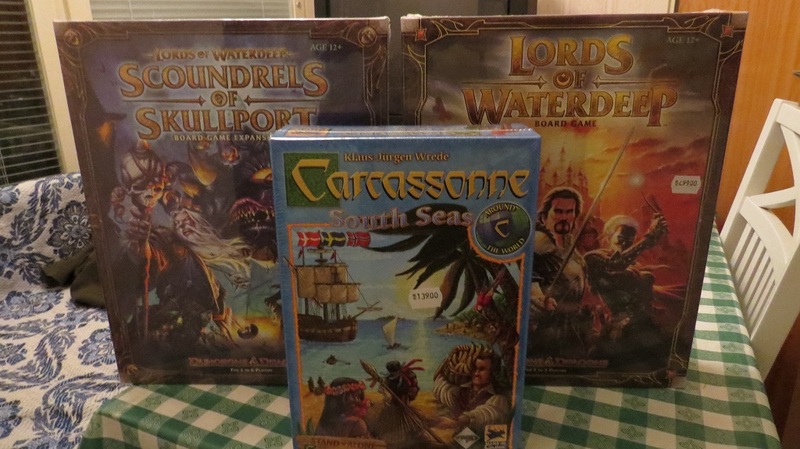 South Seas only costs 139 Swedish Krona on one of the local stores, which is weird. That's roughly 15 Euro. I thought I'd start this to compete with the infamous I Love the Postman Thread. Co-op deduction game, won SdJ1985 and was reprinted in 2014. I'll post some content later so you can all moan at the artwork. Hi Decar, nice idea but Paul already started a thread just like this. Also: he didn't ruin his thread with the heresy of Carcassonne II. Also - Paul is 2 player LoW any good? It seems like a much loved Worker Placement game and wanted to know what your opinion was. We've not had a chance to play it yet. I'll make sure to have a report from out first game. Thanks Paul, looking forward to hearing about it! You're lucky Sweden has a lot of space to store all your games!! The room is more of a storage than anything. No room to play at all. For that I need the living room. Once I clear out more of my Lego collection I may be able to set up a table for display and ongoing games. Good choices, all the way around Paul. Check out the community boards on BGG for much more. You will indeed have many hours of fun with both sets! Wanna play Carc? Can we add just one more expansion? Might as well post this here. 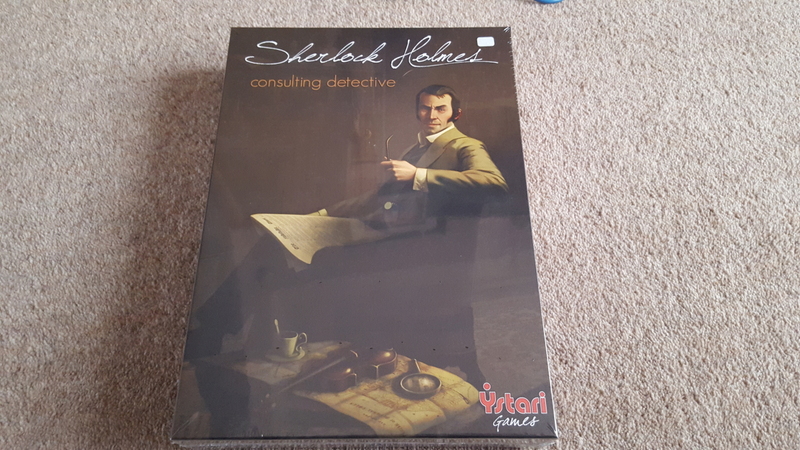 I was able to pick this up at my local game convention this weekend. It was punched but unplayed at a very reasonable $20 CND. Not particularily fond of religious themes but happy to have another notch in the collection! Look forward to playing it. Unique Carcassonne merchandise found in a Swedish store.